Made of corruagate and have foam adhesive backs making them dimensional! 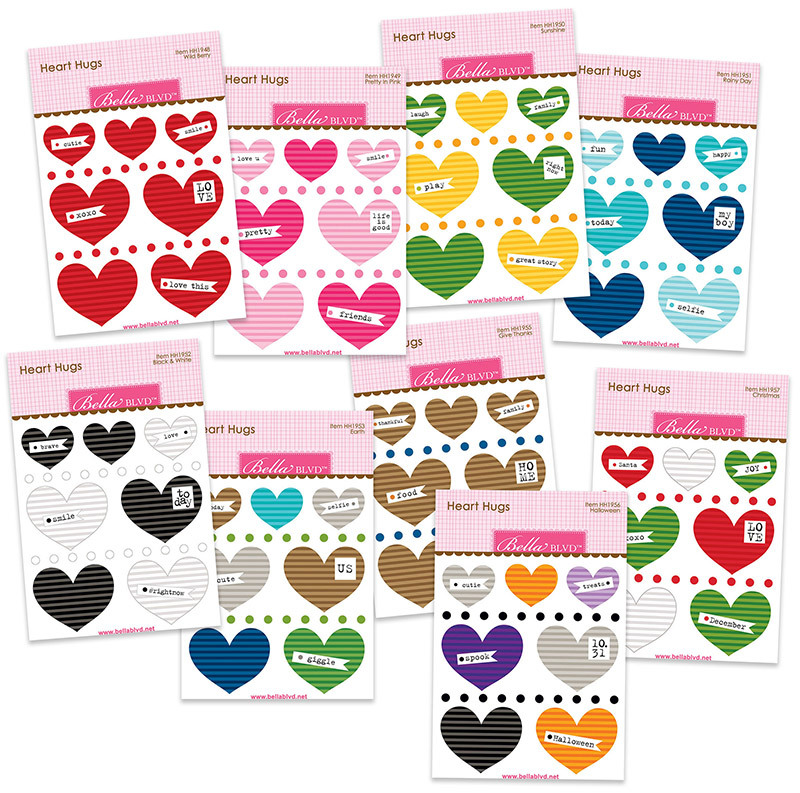 Heart Hugs included 9 different color combinations and 2 different sizes (1" wide and 1.5" wide) within 1 package. Also offering two complete rows of enamel dots for added value!